Marazzi Preservation Tile flooring is the prime example of patchwork quilt of tile flooring. Each shade and each color is a mixture and blend of several different shades from bright and light to a deep and dark woods perfectly placed into a tile form. This collection is rare in its appearance and yet works so well with in various rooms for both commercially and residentially. For the true fan of the country rugged, clean industrial, or distressed look, this collection is by far brilliant and stunning in every detail. Dive in head first and you�ll see exactly why this beloved collection is so popular. 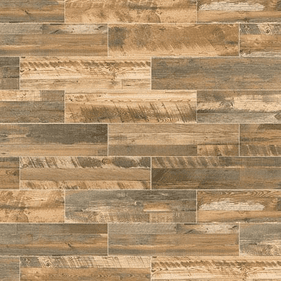 With three colors, this series is focused on bucking the average treads of tile flooring. These Colors can form a non verbal communication. Every minute of the day and night we tend to be unaware of the enormous impact color choices can have on us. Would you be emotionally, sensually or physically stimulated enough to motivate you to make a purchase? Pretty sure you will. We hope you will choose your colors appropriately and wisely. Color is subliminal and it can help to establish your brand and your image without even saying a word. That being said, you are often drawn to your personality color for clothing and home decorating. It is often a predominant color in your aura. Always choose the color that excites you the most and makes you feel alive when you see it. 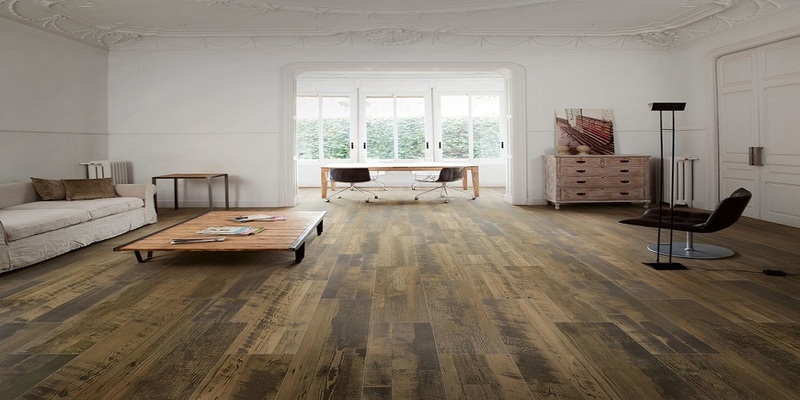 Looking far too close to real wood, Marazzi Preservation Aged Walnut is a bold compilation of a rich frothy, dark browns and bold blacks with slight hints of blond wood spread sporadically throughout the planks. 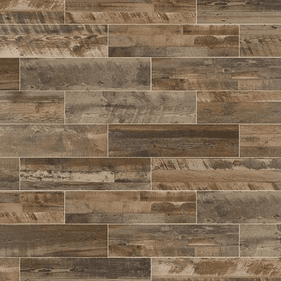 Preservation Distressed Oak is the perfect play on its name appearing like distressed oak tree in tile form. With its several color variations from the tans to the ash grays to the purposely placed scrapes to the subtle brushing marks. The perfectly aged wood like tile holds its own unique story in each plank. The vibrant color combinations with in the Marazzi Preservation push to more of a gentle yet masculine design aspect and very on trend with the appearance of reclaimed wood without all the hassle of the gathering and prep. 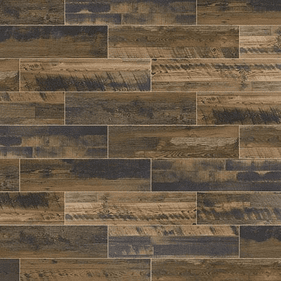 Shades like Marazzi Preservation Petrified Gray and Aged Walnut are brilliant because they cleverly combine various wood elements and shades for an intriguing tile floor that is far from the norm. When indulging in the perfect slice of life, one absolute must have size options. This collection provides two sizes �6 x 36� and �9x 36.� Living life on the precipice is what this collection all about. There is no formula or simple recipe. It is a collection centered on bold and unusual combinations that feature the most unique and peculiar wood-esque looking shades to comprise a truly stunning tile floor that strives to consistently stray from the �norm� and dance with different. If you want typical, contemporary flooring, go somewhere else. Marazzi Preservation Tile flooring is about preserving the right to be different not fit in.